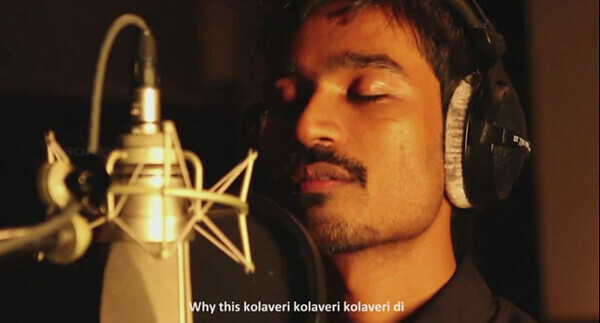 Have you heard the most phenomenon and the most searched song in YouTube India – Why This Kolaveri Di? Well, if not, then go ahead and watch it first. The video has been embedded at the bottom of this post. I’m sure you would love it. Well, Why This Kolaveri Di is a “Tanglish” (Tamil-English) song, which is a soundtrack of the upcoming Tamil movie called 3. The move is scheduled to be released sometime in 2012. The song was released and posted on the Internet on November 16, and ever since, it has been liked and shared by thousands of people across India. The video on YouTube has attracted more than 8,000,000 views and over 41,000 comments posted by users. Well, needless to say, the song has pretty much attracted many viewers and instantly became viral on social networking sites. “We are launching the album (OST of 3) on December 12 and also working on a few variations and club mixes to make the song more accessible for the party season,” he says. The CD will be out in stores by December second week for a price of Rs 199. Did you like it? Please share your views by adding your comments below. What do you mean by ‘LATTE’ in Techo Latte?